This 2003 BMW Z4 3.0i only has 93,019 original miles (All Southern Highway Miles). A beautiful 2 door Convertible, the 2003 BMW Z4 3.0i mixes a sporty style with all-around luxury and all the latest features!The 2003 BMW Z4features a 3.0L V6 engine that returns 29 mpg highway (Not Bad at All).This Vehicle drives just like a BMW Z4 3.0i is supposed to!! It features a Grey Exterior and a Rare Red Leather Interior. 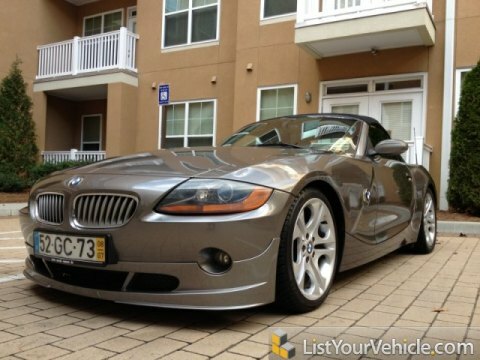 This BMW Z4 3.0i is a great on gas! !This BMW Z4 engine and transmission are in Great working condition.This BMW Z4 does NOT Overheat.This BMW has NO known defects. (There may be scratches, and or small dings associated with the age of the vehicle)(Front Tires have plenty of thread, Rears will need to be replaced soon) PLEASE SEE ALL PICTURES BEFORE BIDDING. Fee and Tax Information: Please call us at 770-510-6661 for details on the required fees. Out of state buyers are responsible for all State, County, City Taxes, and Fees, as well as Title/Registration fees in the state that the vehicle will be registered. (1) Winning bidder to contact us within 24 hours of the auction closing to confirm the intent to purchase. (2) All bidders should have all questions answered prior to placing a bid. (3) Ga residents are responsible for Title, and License. (4) Out of state buyers are responsible for taxes in their home state. All winning bidders are require to pay a $250.00 dollars documentation fee.